Over 10, pills 000 years ago in the mountains of ancient Böd, before the Himalayas were known by names such as Tibet, an ancient civilization was dedicating its existence to the study and development of this Science and Art for Eternal Youth. Art, ed poetry, viagra and legend… it could be said that Boabom is an inevitable combination of these three elements, purchase and it is based on this feeling that I am writing this book. I hope it is well understood, and taken to practice in the way and form in which I have intended to transmit it. The roots of Boabom are lost in time. Its origin was in ancient Tibet, several thousand years before the birth of Buddha, before the Vedas were written, and before the Chinese Empire even thought to exist. Even though we cannot say about that era that nations or countries existed in the current meaning of the word, we can say that the land of the Himalayas and the high plateau were always a flourishing field for the encounter of different cultures and mixture of races and clans. Amongst them was one which left a silent inheritance to us, and the time has now come to share it. This teaching is distinguished by its broadmindedness, its depth, and its positive way of looking at life and the consubstantial harmonic relationship that must exist between body and mind, without the restriction and prejudice that religions would later dictate. As such, its Arts are not limited to a certain type of movement or to intricate metaphysical theories; instead their range is practical, from relaxation, breathing, and meditation to defense, dance, philosophy and much more, with its sole objective to make this life an Art in itself. I am certain that all of this must come as a surprise to many, mainly those who limit the existence of Tibet to the country of the Buddhist tradition, or to yoga, while relegating any exercise concerning relaxation or forms of defense exclusively to India, China, or the other Eastern countries. This is not so, and there is still much to be discovered and learned from the Land of Snows, despite interests who will not be happy to recognize this. Its valleys and secluded landscapes still hold surprises and stories yet untold. I met with one of these many years ago: Boabom. This teaching has always been a pilgrim, secret, and those who migrated to transmit this Way continued to prefer that secrecy over great publicity. What I was given as a consequence of this pilgrimage was given in silence; in that way it was developed and valued, in the quietness of privacy and in the productive and irreproducible dialog between Guide and Apprentice. I could never even intend to transmit this experience fully, for it is something very personal, yet I do want this book to be a candle for many who search, as I did, for the slippery balance between the body and the mind, with its hidden abilities. 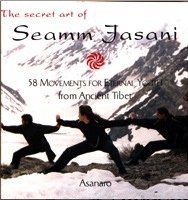 A few years ago, moved by unpredictable circumstances, I wrote the book The Secret Art of Seamm Jasani, an introduction to a system which corresponds to a kind of Gentle Boabom. Its reception showed that there are many who seek something that is beyond what is announced by the media. In the wake of its success, it was natural that I should show the other face of this teaching: developed here, in the work you now hold in your hands. 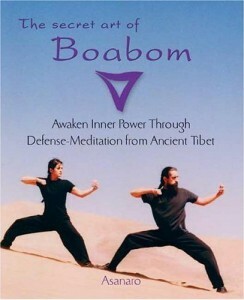 This book corresponds to Boabom, seen as an Art of Defense. However, in order to understand it, the readers and students need not feel the word defense as such, but from a new perspective which goes beyond the everyday to relate to energy and self-awareness, and therefore to meditation and internal balance. In order that this may be understood in the correct way, I have composed this book from three perspectives which, in one way or another, are knitted together, and will satisfy each at her own measure, or all of these aspects in each one. The First Step of this work is a tale that introduces the intellectual student to the transcendental ideas of this teaching, to its thoughts, its forms for seeing life, while at the same time it is a detailed explanation of Boabom itself. This story represents the Mind of the Art and is also linked to the book on Seamm-Jasani, as well as those to come in the future. The Second Step describes Boabom itself. 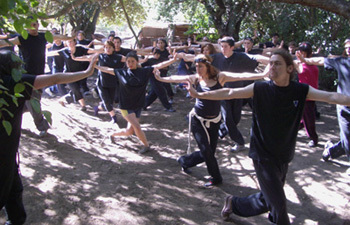 This point is made for the restless student who wants to experience the meditative-defensive technique in practice, to sweat and feel for her or himself its benefits and effects, and through this to understand the story told in the first part. This Step can be seen as an introductory course for beginning students. In it you will see that everyone can learn this system, without any prior knowledge. This Step, as the development of the practical part or the method, represents the Art itself. Finally, the Third Step is dedicated to the practical reader who likes knowing with certainty the ground on which she or he is stepping. This section deals with the School itself through its students, who speak of their own real and daily experience. It also includes the first scientific study made of Boabom, which details the practical results of this teaching from the perspective of both modern medicine and psychology. This last section represents the Body of the Art, our need to grow roots and walk with our feet on the ground in order to allow our internal vision to quietly contemplate the universe. Today, the Boabom Art continues its own life, as does its School, existing disconnected from any cultural or national attachment. Today Boabom lives in its students and its teachers, and in the energy of search and transmission that they will continue to generate in the dream of the future. May the stellar winds blow favorably to all of them, and especially to you! Welcome to Boabom, the Art of the Great Plateau!!! 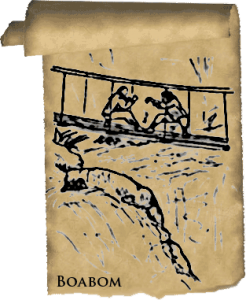 “Amidst the rush, below the ground, before the crush, the sign I found was echo to a thought I’d often known: to shape a skill of limb and will, to sharpen mind and strengthen flesh and bone. So I marked the address where I’d find more confessed, and that evening I read where it rooted, feeling the fitting well-suited: a motive meditation from an ancient, fading nation, feeding notions of devotion as expanses of [e]motion. sure I’d found kin, and I spoke up and set out to start to begin. Two stretches of time in the week were defined–not named hours, but ours, and curved in, not outlined. And so a far-thrown net served as anchor in the new, as we started with the simplest of the steps these dancers do. From fi[r]st to next and next to last, we started slow and came to fast[en] force to form, as quick to warm we raised our ways from sole to swarm, from line to curve, from strike to string; we brought to bare all we could bear to bring. From then to when and when to now, from what to where and where to how, we’ve learned now how to what when where, and then who we will be while there”. “I have spent much time in my life on sports, health and body-mind practices, e.g. Yoga 13 years. Last year I came across a book about this Art. 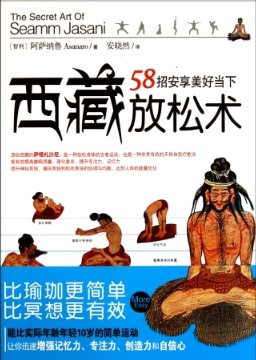 I tried the exercises and – unlike some other books I bought in the past – I actually found these exercises great! The book was clear and to the point. After more practice I got more enthusiastic and looked up the web site of this Art…”. “I hope to continue learning and gaining more physical and mental strength from the Art of Boabom…”. 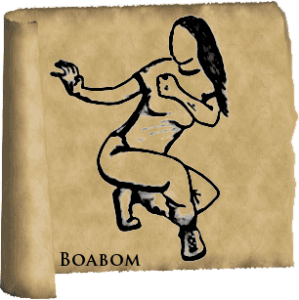 “Strength in Motion: that is my favorite visual image of Boabom. Thank you all for a very warm, welcoming teaching experience”. 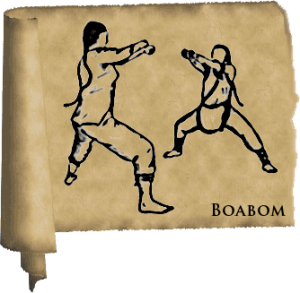 “…In my experience, Boabom has a unique approach that differs from other Eastern Arts because it helps individuals cultivate internal and external balance through the development of both their Yin and Yang energy”. Heather Lance, B.A. Asian Studies, Graduate Student in Acupuncture and Oriental Medicine USA. “…In summary, Boabom offers a way to build a strong foundation on which one can grow physically, emotionally and spiritually through physical challenge and moving meditation”. “… I am just now starting to really sense that Boabom is more than a series of physical and mental challenges, and look forward to experiencing greater spiritual well-being through these practiced movements and relaxation techniques”. “Practicing Boabom is the best thing that has ever happened to me. Being happy in life causes those who surround you to be infected with that optimism; joy has a multiplying effect. This is achieved when you are in harmony with your mind and body, and that is the objective of this Art”.